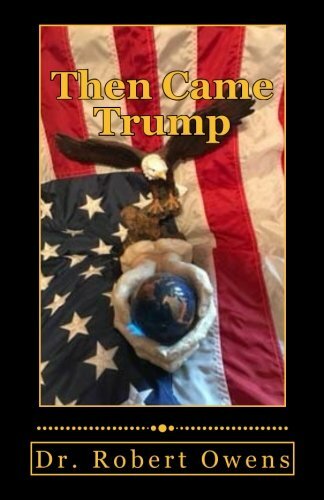 In Then Came Trump Dr. Robert Owens shares insights about where we have come from, where we are now, and where the Donald promised to lead us. Featuring Dispatches from the History of the Future these essays are guaranteed to provide food for thought as current events you remember are placed in an historical and constitutional context. A text without a context is a pretext. In today’s world of fake news the progressive spin of the wall-to-wall megaphone of the ABCCBSNBCCNNMSNBCPBSNPR cartel pumps out its left-leaning version of the day’s events. This combined with the stories they make-up out of whole cloth need to be balanced. This book is an attempt to provide that balance. We have labored in the darkness of the Obamanation. We have waited for a light at the end of the tunnel that was not another progressive steamroller chugging down the tracks. We have looked for anyone who could cut the Gordian Knot and loose the potential of America again. Then came Trump. Dan Rather against the "Truth"